Among the main features of Walkera Vitus is the fact that it is a foldable drone, this is very important when traveling and you want the drone to accompany you everywhere. The second most important feature is that Vitus is an aerial photography drone and if we take them together, these two go hand in hand, because in most cases to shoot something spectacular, you will probably travel. The space that a drone usually occupies depends on the size and design of the propellers, but when you can fold them you not only save space, but the propellers will be more secure. Would Vitus be an imitation of Mavic? Vitus is probably among Mavic’s main competitors, much like similar design. If we take the details of Vitus and compare them to Mavic, there will be a clear difference for those who are going to choose between the two drones. 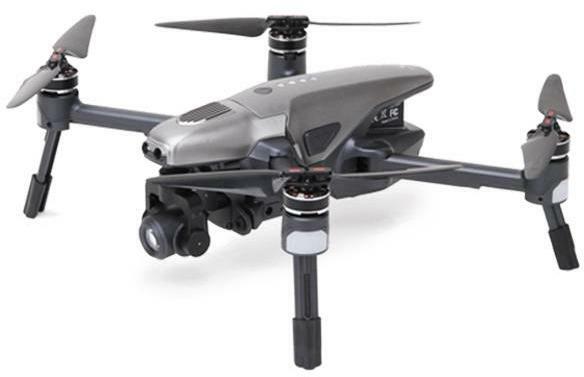 Focusing on the details of Vitus, and going over what we already know, that it is a foldable drone and is mainly destined for aerial photography, we also find a 3-axis stabilized gimbal for soft aerial footage. 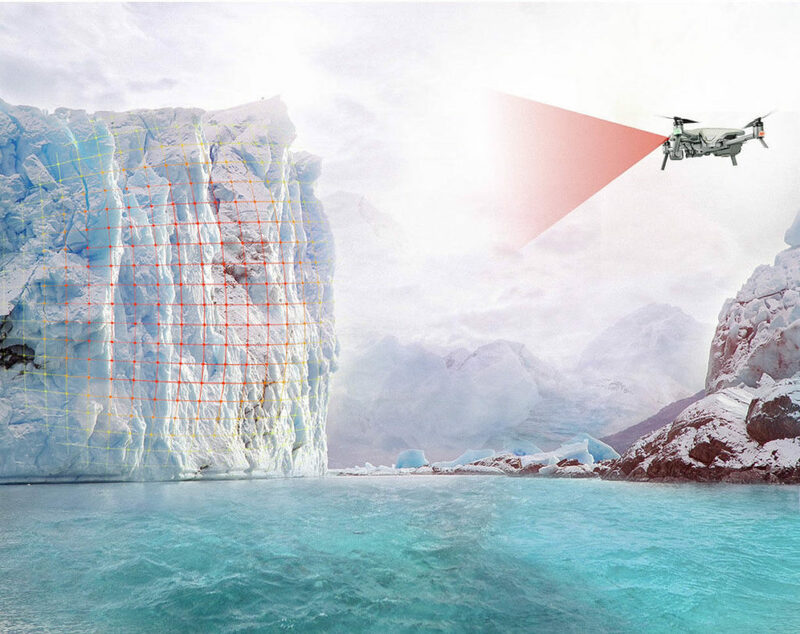 The drone has built-in GPS and visual positioning for an accurate flight both indoor and outdoor. Three directional obstacle avoidance with infrared TOF technology and 3 high-precision sensors make the drone capable of avoiding an obstacle it can recognize 5 meters ahead of it and from three different directions: front, left, and right. It will slow down and prevent the risk of an accident. If after capturing the photos you want a more detailed editing and you need the RAW format of the photos, you will definitely prefer Mavic because Vitus is able to take pictures only in JPEG format. 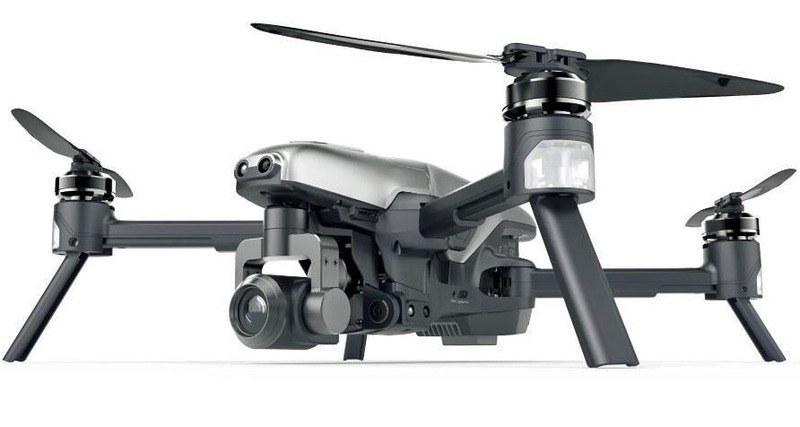 The transmitter has a special piece for the tablet support, which is a plus because it results that the drone can be used right out of the box with a tablet. This is important because the transmitter doesn’t have a display screen, for any errors it is advisable to even have a phone or a spare tablet, this being the only way to track and see what the drones see. Considering that we talked about the format of the photos, we remind it as Cons, that this detail is important for those who will use Vitus for professional photography. The 1.5km range normally would not be so bad, but you need optimal conditions to reach that distance, in case you don’t have it, this distance will be significantly reduced, so this has a Pro part and a Cons part too. Walkera Go, the app for Vitus might improve, as compared to DJI Go this is quite clunky, this also receive a Cons. Object Avoidance or not, I would not say it is too useful because the distance is too small until the drones recognize the obstacle. Another Cons. However, Vitus has many positive parts that we will enumerate at Pros, such as the price. Much cheaper than other models with similar features. With the money you save by buying Vitus, I would recommend to buy a spare battery for extra flight time. Compatible with the Walkera augmented reality app, for racing and air battle games. Foldable, with this I did not say anything new, but it’s very important. You save a lot of space and fit in any bag. Even if we recommend buying a spare battery, this is strictly in the case if you want to use it for professional work, otherwise the flying time is an excellent one. All the attractive features that it has, the right price for it and not the last of the fun or the seriousness for your work are all offered in a single drone. Walkera Vitus is suitable for professionals. The best stocks available are on the Walkera official website, on Amazon and Gearbest.